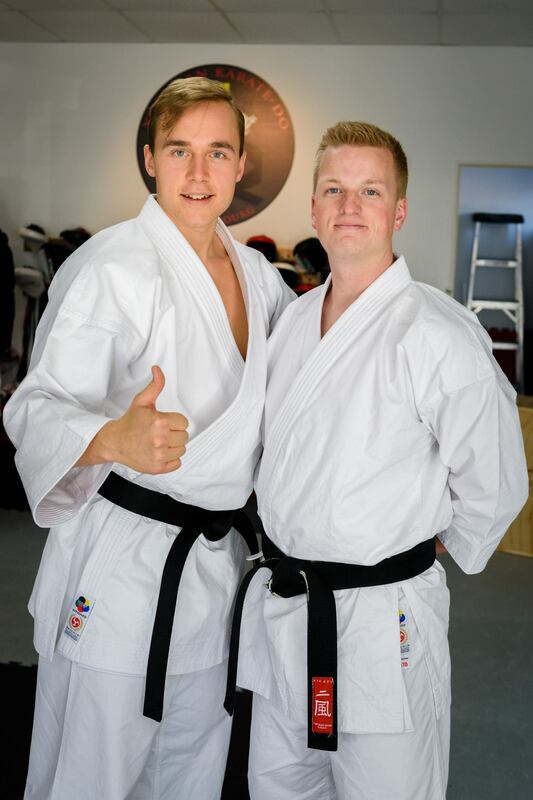 Last weekend I had the opportunity to train with the biggest “Karate Nerd” out there, Jesse Enkamp. For those of you who may not know he is a self-proclaimed Karate Nerd, which means that everyday he is either reading, training, teaching, or even just thinking about karate. The first day Jeric and I travelled all the way to Old Quebec City; for those of you who don’t know, it’s about 9’ish hours away from Waterloo. When we arrived I maneuvered my away around to find Sensei Rudy Daquet’s dojo where we spent six hours training two separate ideas – the old and the new. The new consisted of ankle, knee, hip, and shoulder mobility & stability; making sure these particular joints are not only strong but flexible. Rolling, jumping, turning and twisting in directions we didn’t think we could… we learned how these joints are meant to be used in order to make our karate stronger. Note* these concepts can apply to anything; whether it’s fitness, basketball (or any sport), and even to increase your range of motion. Session two consisted of the old, how to apply traditional concepts from Okinawa to make you a better fighter. Utilizing both hands to work together but also at the same time. With practice we all managed to grasp the idea and now it’s just a matter of doing our homework! Of course, being the nerd that I am, I also bought my ticket to the seminar in Kitchener at Driftwood Martial Arts (it was definitely a shorter drive!). Jesse went over the exact same principles, but I am glad I went because it helped me understand his concepts even more. Not only that but I had the privilege to be his Uke – “Receiver” – during his presentation; something I didn’t think I’d have the opportunity to do when I first came across his website (Thank-you!!). Now whether he knows this or not, Jesse is definitely the leader of a new generation of martial artists. His dedication to the art of karate can be seen in everything he does; it can be during one of his seminars or in one of his blog posts. But I look forward to attending his next seminar, perhaps even host one of our own. Thank-you to Karate Charlesburg Dojo and Driftwood Martial Arts for hosting the event and once again thank-you Sensei Jesse for coming to Canada. Hey! Sorry for the late reply. I hope you had a wonderful time training with him. How did you like the experience? Hi it was nice, unfortunately I was only able to be on one session on basics. Jesse is a nice bloke. He’s very passionate. I had the opportunity to train with him a few times over that weekend, as you probably read.